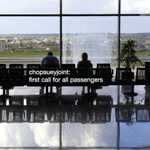 Chop Suey Joint love making music. 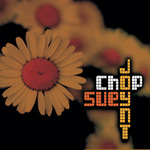 Since their inception at the beginning of the millenium, they have released 3 CDs of original music featuring collaborations with dozens and dozens of professional musicians from around the world, all participating for the pure joy of being part of the long and winding road that is the Chop Suey Joint creative process. joint noun (PLACE) /dʒɔɪnt/ Originated from French, where it is an adjective meaning 'joined', derived from Latin iunctus, past participle of iungo meaning 'I join'. 1821, 'joint' became an Anglo-Irish term for a side-room. By 1877, this had developed into U.S. slang for a (usually shady) 'place, building, establishment'. 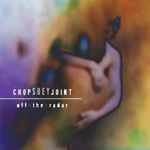 chop suey joint noun (BAND) /ˌtʃɒpˈsuː.i dʒɔɪnt/ Risque melee; Cimmerian collectanea; suggestive assemblage; twilight congregation.